" August 1914 September 1914 " October 1914 " November 1914 " December 1914 " January 1915 " February 1915 " March 1915 " April 1915 " May 1915 " June 1915 " July 1915 " August 1915 " September 1915 " October 1915 " November 1915 " December 1915 " January 1916 " February 1916 " March 1916 " April 1916 " May 1916 " June 1916 " July 1916 " August 1916 " September 1916 " October 1916 " November 1916 " December 1916 " January 1917 " February 1917 " March 1917 " April 1917 " May 1917 " June 1917 " July 1917 " August 1917 " September 1917 " October 1917 " November 1917 " December 1917 " January 1918 " February 1918 " March 1918 " April 1918 " May 1918 " June 1918 " July 1918 " August 1918 " September 1918 " October 1918 " November 1918 " December 1918 " January 1919 " February 1919 " March 1919 " April 1919 " May 1919 " June 1919 " July 1919 " October 1919 " December 1919 " February 1920 " August 1920 "
House: No 7, 1903 - 1908. Regiment: Royal West Kent Regt. Died: 23 August 1914 aged 26 in Belgium. Killed in action at Mons. 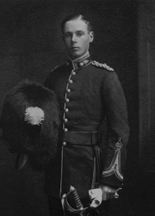 Son of George Knox Anderson, D.L., J.P., and Mrs. Anderson, of Bridge Hill House, Canterbury, Kent. Middle IV B�Matriculation Class. School Prefect. XI Cricket; XXII Football. Lieutenant 3rd Batt. Royal West Kent Regt. 1911. Great War, mobilised 1914. 3rd Bn. attd. "A" Coy. 1st Bn. Queen's Own (Royal West Kent Regiment). During the Battle of Mons, his company was ordered to cover the withdrawal of the cavalry patrols and crossed the Mons-Conde Canal. Heavily outnumbered, almost half of his company were hit of which 2/3rds were killed or 'missing'. He was shot through the head and was left behind when the retirement was called and was buried by the Germans. House: No 3, 1882 - 1890. Regiment: West Riding Regt. Died: 24 August 1914 aged 42 in Belgium. Killed in action at Wasmes. Born 10th October 1872. Son of Robert James and Louisa Mary Strafford (nee Belcher), of St Michael's Hamlet, Liverpool. Junior School�Army Class. School Prefect. XI Football 1889,90; XXII Cricket. R.M.C. Sandhurst; Duke of Wellington�s Regt. 1892; Major 1909; South African War 1899�1902, Despatches (twice), Queen�s Medal with 4 Clasps, King�s Medal with 2 Clasps. Great War,2nd Bn. Duke of Wellington's (West Riding Regiment). Killed in action near Mons, August 24, 1914; Despatches. 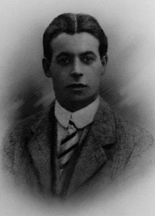 Husband of Edith Mabel Strafford (nee Chapman), of 25, Wilbury Rd., Hove, Brighton. (Married 26th June 1906). He had two children: Jennie Constance, born 28th June 1907; and Orrell Hamilton, born 13th July 1910. 'He was killed instantaneously by a shell at the battle of Mons, being one of the first O.Ms. to fall in the present war. Masters and contemporaries will remember him as a brilliant back at football. 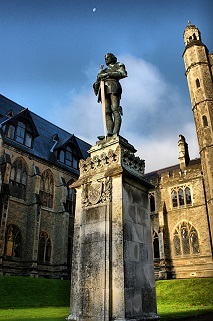 He won the esteem of all and the affection of many by his single-mindedness, uprightness, and sympathetic character both at school and in his regiment, where he is mourned as one of its most capable officers. House: No 2, 1903 - 1908. Regiment: Lancashire Fusiliers. Died: 26 August 1914 aged 25 in France. Killed in action at Cambrai. 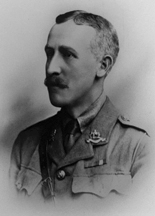 Son of the late Rear-Admiral Robert Hornby Boyle. b. 1889. Middle IV B�Army I. School Prefect. Head of House. XI Football; XXII Cricket; Ledbury Cap. Lieutenant in Corps. R.M.C. 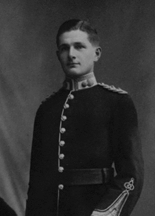 Sandhurst; Lancashire Fusiliers 1909; Lieutenant 1911. 'From his career at school it was anticipated that he would prove himself a most capable officer, and this he turned out to be. His sterling qualities and his sound influence won for him the esteem of officers and men alike. He was always spoken of as "a splendid officer." He was killed in action near Cambrai on August 26th, three days after his regiment landed in France. He was in the act of summoning aid for a fellow-officer who had just been wounded, when he himself fell. (Malvernian, Nov 1914). House: No 4, 1909 - 1911. Regiment: Royal Munster Fusiliers. Died: 27 August 1914 aged 20 in France. Killed in action at Etreux. Born 27th August 1894. Son of Colonel Ernest Frederic and Florence Mary Sulivan, Wilmington, Woking. R.M.C. Sandhurst; Royal Munster Fusiliers 1914. Great War, "B" Coy. 2nd Bn. Royal Munster Fusiliers. 'He was at first reported as "missing" during the retreat from Mons; later in October it was ascertained that he had been killed in action at Etreux on August 22nd � his twentieth birthday. His open, loyal nature won him many friends here, and these will be sure that he fell gallantly. "He died," it is said, "most heroically with his men." (Malvernian, Dec 1914). 'He went to France on the 13th August 1914, and was killed in a rear-guard action at Etreux on the 27th August during the retreat from Mons. Buried by the Germans at cross roads, near Etreux, with eight of his brother officers who fell the same day.' (De Ruvigny).